The spice, the myth, the legend! This bundle is full of legendary flavor and heat. 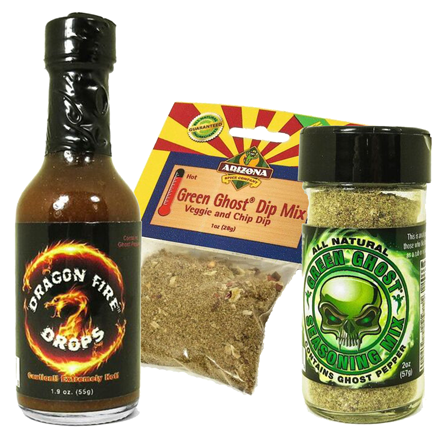 Our Green Ghost Seasoning has an excellent flavor and some extra heat from the smoked ghost pepper. 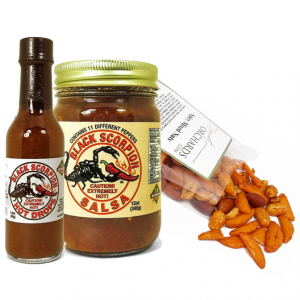 Our incredibly hot Dragon Drops will make you think twice before breathing fire again but you won’t be able to resist the amazing flavor. 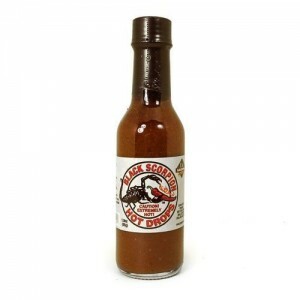 It includes a perfect blend of 4 peppers, red wine vinegar, and spices. The complimentary Green Ghost Dip Mix will go great with anything but don’t let it fool you, it has some spice too. 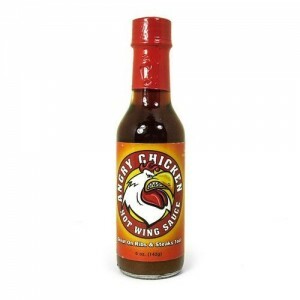 For the greatest possible flavor, mix this with 16oz sour cream or cream cheese plus 2T Mayo 2-12 hours ahead of serving.